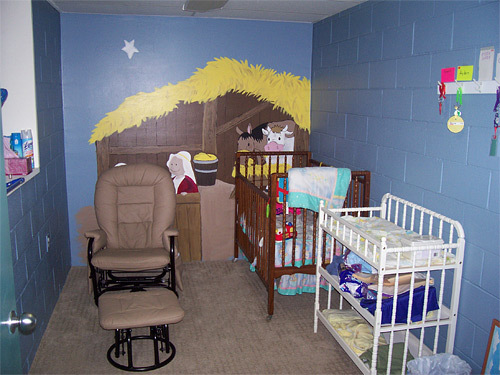 Our nursery is located in Toddler Village and is very appealing to all of our families. 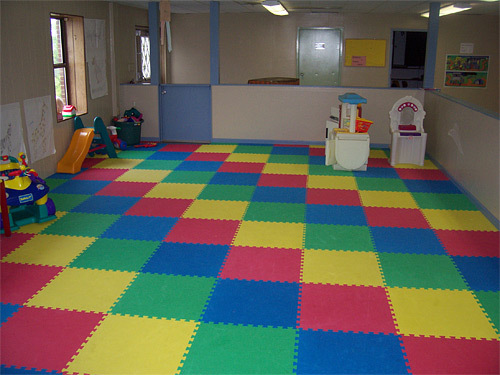 We offer special rooms for toddlers, crawlers & walkers. Parents will enjoy the security and attention offered to all of our nursery-age children. Welcome to Toddler Village. 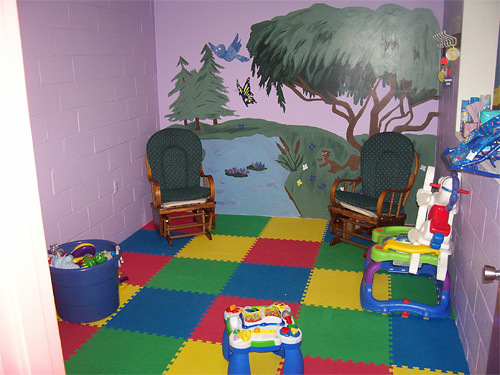 We have designed this area just for our Toddlers and their parents. 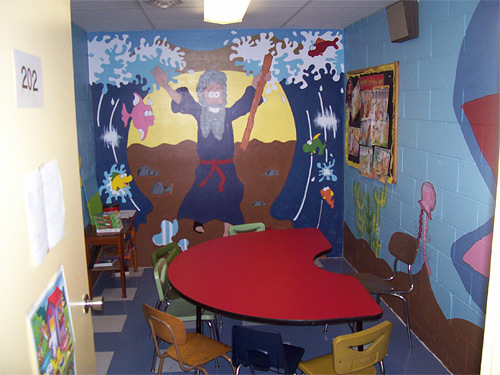 Toddlers will love the crafts, games, snacks, and bible lessons each week, and parents will love the security of knowing their children are in safe and fun-filled environment during their time of worship.